Coralville Police are asking for assistance in identifying the following two subjects regarding unauthorized credit card use. 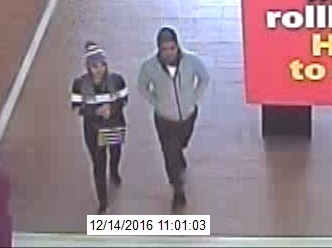 They were last seen fraudulently using the credit card on 12/14/16 at the Coralville Wal-Mart for a $150.00 purchase. They were seen leaving the parking lot in a larger light colored (silver or white) SUV, similar to a Chevrolet Suburban. 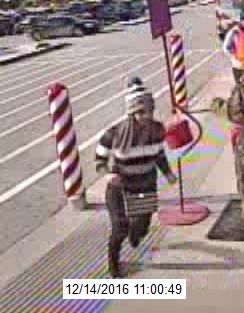 If you have any information on these subjects please contact Iowa City Area Crime Stoppers.